With so many global crises everywhere we look demanding so much of our immediate attention, is this a good time to be thinking about our soul? There never was a better – or more critical – time than right now to take the mystic journey of the soul that leads us into and through the spiral of life! The world’s sacred traditions provide all the guideposts we need for this adventure. Living our lives consciously, we encounter universal motifs, archetypes, and timeless patterns that will help us discover not only who we are but also why we are so deeply connected to all others. The universal journey of the soul is one we all set out upon, and whether we are aware of it or not, it is the only journey that leads ultimately to both personal and collective transformation. This is the most pressing journey of our time. In Mystic Journey, Robert Atkinson offers an “exquisite exploration of the spiritual craft of soul-making,” which details a process “that leads us home to who and what we really are,” as Jean Houston said in her endorsement of the book. This is a journey that profoundly links individual effort and responsibility with collective progress and advancement. Once we consciously set out on a life of soul-making, we become committed not only to fulfilling our own deepest potential but also to helping others do the same for themselves. Our very life, and everything we do with it, becomes a benefit for all. Q: Is the mystic journey just for mystics? A: The short answer is the mystic journey is not just for mystics. The ancient mystic traditions came into being to help people remember their true origin and destiny. The great mystic poets knew that remembrance links us to the spirit we all possess, which links us to each other, as well. The practice of remembrance is common to all sacred traditions. Whether we are aware of it or not, we all set out upon a mysterious, mystic journey: to remember who we are and where we are going. The mystic journey is for all of us. For the long answer, see my blog post here on this topic. Q: Where does this book, and the mystic journey in general, fit in the consciousness studies, integral studies, and conscious evolution dialogue? A: Right at the heart of it all. The spirit of our times, a new worldview, sees a shift in consciousness rapidly unfolding which will take us to the next stage of human evolution. This transitional time has been referred to as a process by which we can individually and collectively take responsibility for our future. This is the key, that the individual and the collective are intricately tied together in successfully accomplishing the transformation at hand. Mystic Journey makes it clear that personal and collective transformation are interdependent, and, in particular, that the mystic journey of the soul leads ultimately to the betterment of the world because the journey of the soul and the path of service are one and the same. As we evolve in our personal consciousness, we recognize more and more not only that everything in creation is connected, but that our individual consciousness impacts and influences the collective consciousness, too. Mystic Journey leads us to and through a deeper understanding of who we are and what our common spiritual heritage is; it gets to the depths of our individual and collective journey at the same time. Q: How is our soul’s story different from our life story? A: As I’ve written in previous books (The Gift of Stories and The Life Story Interview), a life story is the story we choose to tell about the life we have lived, what we remember of it, and what we want others to know of it. Our life story is really meant to be the essence of what has happened to us. It usually covers the time from birth to the present, sometimes maybe a little beyond that. But often a life story ends up being a recounting of a series of events, with little or no reflection on what it all means. If it is a life story interview that is the method being used to tell your life story, a good interviewer will help you dig beneath the surface, to get to that deeper meaning. That’s getting to the big difference between the two approaches. There are many layers and levels to a life story. It’s like what C. G. Jung said, when starting out to write his autobiography, “My life is a story of the self-realization of the unconscious… In the end the only events in my life worth telling are those when the imperishable world irrupted into this transitory one.” His autobiography consisted mostly of inner experiences. This is the focus of the soul’s story. All events and experiences of anyone’s life are important and relevant, but the challenge is always distinguishing between those events or experiences that are transitory, that only matter in the world of time, and those that are of deeper, loner-lasting significance. The soul’s story is characterized by two qualities that go beyond a life story: a) looking at our life from an eternal perspective, focusing on the inner nuances and meanings of the struggles and triumphs of the soul’s journey through this world, and b) recognizing that there is a lifelong process of soul-making that we are engaged in, which consists of remembering who we are, living within a timeless perspective, fully digesting both the light and shadow experiences of our lives, and consciously striving to acquire the virtues and attributes needed for our eternal journey. who you will be when the Day of Reckoning arrives. Is knowing the value of our own soul the greatest challenge of our lives? How many of us, as Jung has asked, are really prepared for the second half of life, for old age, death and eternity? For Rumi, this is all a very practical matter, as much so as knowing the true value of anything in the marketplace. Getting to know this eternal part of ourselves may not be as much of a priority as it should because we tend to think of our identity in terms of the many facets of the physical form that we know for some eight or nine decades. In so doing, we overlook who we are in terms of our soul’s eternal journey. As we mature spiritually, and gain a deeper consciousness, we become increasingly reflective on “what it all means” to us. This is the way it always has been, as we try to draw meaning from the mysteries surrounding us. USM professor Robert Atkinson continues to help people reach for their potential with a new book about getting to know our deepest selves. Robert Atkinson is one of those people who may be better known outside of Maine than in his own community. Atkinson teaches at the University of Southern Maine in the College of Education and Human Development, where he also directs the Life Story Commons. Those disciplines may appear narrowly focused, but Atkinson, who lives in Scarborough, is known nationally for his work in helping people realize their full potential. He helps people tell their life stories in ways that connect them with their personal heritage and their communities. 1. Why did you write Mystic Journey? This is the natural outgrowth of where my work with life stories has taken me. The origin of this book actually goes back to my childhood, when my grandmother came to live with us for part of the year and I became fascinated by her commitment to her daily devotion and reading from Scripture. My 9 year old soul was way ahead of my 9 year old mind then, but from that early experience I came to realize, in my mid-twenties, that the journey of the soul begins whether we are ready for it or not. After more than 30 years of helping people tell their life stories from a psychological and cultural perspective, I love that I now get to focus on the mystic journey of the soul and looking at a life story from a spiritual, eternal perspective, because this gives us our greatest sense of contentment and connectedness. 2. How do you define our ‘soul’ and how can we connect with it? 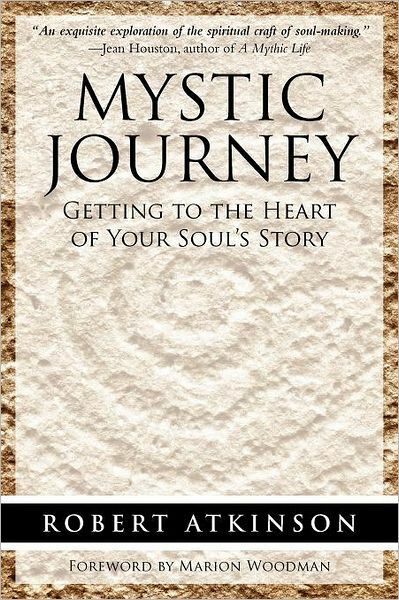 Author Robert Atkinson, a leading authority on helping people tell their life stories, and professor of human development and religious studies, has just released his new book, Mystic Journey: Getting to the Heart of Your Soul’s Story. In this book he describes life’s greatest adventure: discovering who we are and why we are deeply connected to others. The book lays out, step by step, a process of living our lives consciously so we can experience the universal motifs, archetypes, and timeless patterns that we all share. • Reclaim their common spiritual heritage. ROBERT ATKINSON, Ph.D., an internationally recognized authority in helping people tell their life stories, is an author of eight books, professor of human development and religious studies, and director of the Life Story Commons at the University of Southern Maine. He is online at www.RobertAtkinson.net. COSIMO BOOKS publishes titles by experts, academics, journalists, and visionaries on topics including Mind, Body & Spirit, and Socially Responsible Business and Public Affairs. Cosimo Books, based in New York, is an imprint of Cosimo, Inc., a specialty publisher of books and publications that inspire, inform and engage readers. Cosimo’s mission is to create a smart and sustainable society by connecting people with valuable ideas.